What is A3 Usage? Do I need Planning Permission to change to A3 Usage? This new class is specifically designated for restaurants and cafés, i.e. places where the primary purpose is the sale and consumption of food and light refreshments on the premises. Premises in the A3 class have a permitted change of use to both the A1: Shops and A2: Financial/Professional services use class but not to any other use class. (a) the sale of food or drink for consumption on the premises or of hot food for consumption off the premises. Properties that are designated as A3 planning usage can be changed to A1 Shops or A2 Financial and Professional Services, providing that the application is of a satisfactory standard. Changes to other uses are certainly possible but will require substantial work to gain approval. In addition to the standard requirements, you will need to provide comprehensive reports on the local area to justify the loss of the A3, frequent negotiation with your local authority and there is always the possibility of encountering other obstacles. Drawing and Planning are a team of Town Planners and Architects with significant expertise in change of use applications. We have successfully secured an impressive number of change of use planning permission for our satisfied clients. If you would like to find out how Drawing and Planning can help you gain A3 Planning Usage or Change to your required Usage, get in touch today. A restaurant whose income is primarily from in-house dining but also serves alcohol will remain in Class A3. 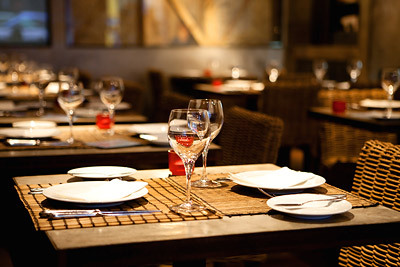 This is because the serving of alcohol will be considered as ancillary to the main Use (restaurant) of the premises. A pub or bar where the sale of alcohol is the primary component of the business is categorised as A4 Usage. However where a pub or bar activity is only a minor component of a business and will not affect the local environment, it will treated as ancillary to the primary (restaurant) use of the premises. Such matters are decided upon by duty planning officers at the local authority and will be decided on the basis of fact and degree in each case. A well planned and thorough planning application can be the difference between a Grant and a refusal. Don't ruin your chances of getting the Change of Use you require. Get in touch today for a FREE consultation and learn how we can help you gain planning permission. Our client sought to change a corner retail unit into an elegant Restaurant. With this type of application the extraction of fumes and hours of operation are often the main issues. As part of the application we actively negotiated the planning conditions to satisfy the needs of our client and secured the change of use.